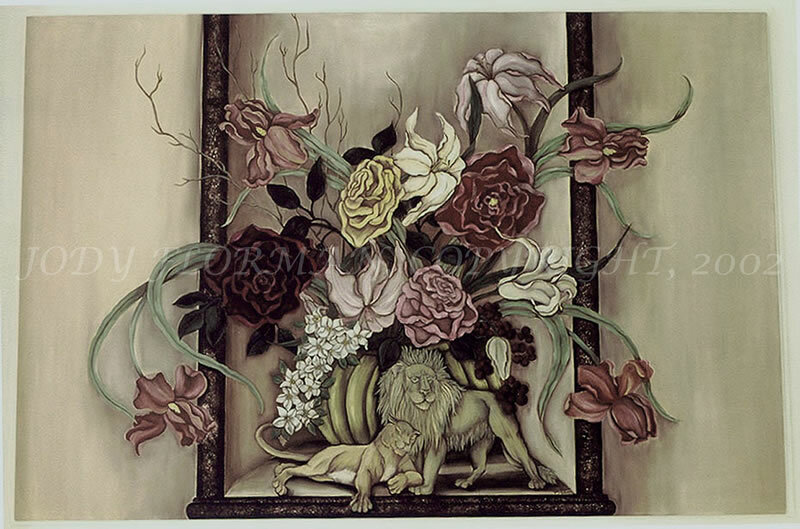 Sometimes a client would like to have a focused piece of art for a specific area in their home. I can create a piece of Art that fits all of your specifications. 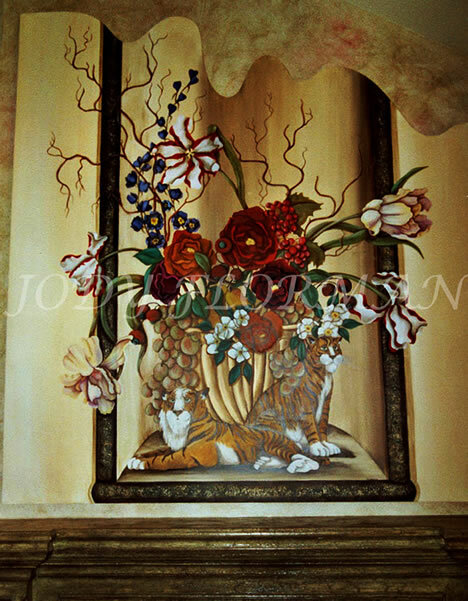 This oil painting was made for a space over a fireplace and features colors that co-ordinate with the decor. This oil painting/ mural was made for the fireplace wall. It's custom shaped panel is 7ft tall. The colors co-ordinate with the custom decor. 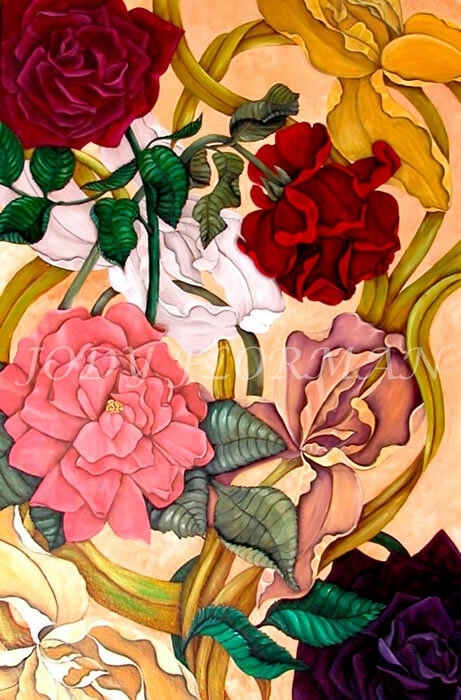 This oil painting is done on canvas. It was painted to go into a niche. The canvas was glued into the niche with wall paper paste and measured 4x8ft. This custom shaped panel was painted to look like a niche. Oil on board. 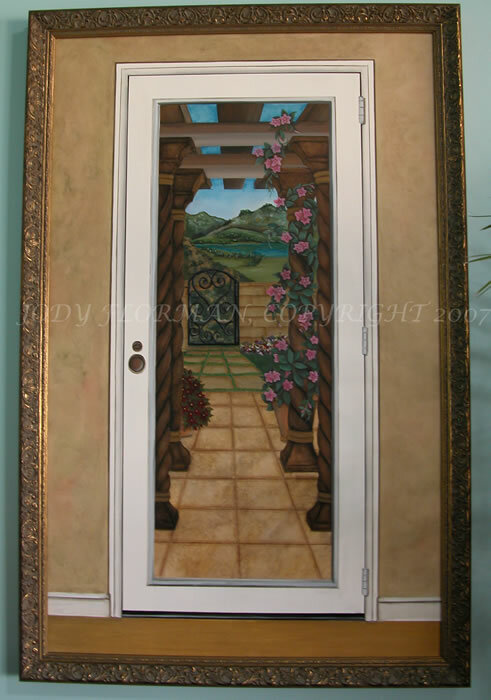 The subject of this painting is a garden seen through a glass door. Though it is smaller than life size, 2D painting, I have been told that many people have tried to open the door.